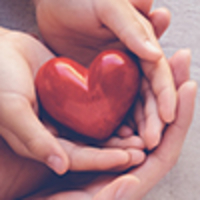 Provide comfort for the family of John Salter with a meaningful gesture of sympathy. Passed away peacefully at Lakeridge Health Oshawa on Saturday January 26th, 2019 at the age of 81. 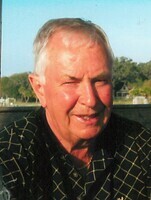 Dearly loved husband of Lois Ann (nee Davidson) for 54 years. Much loved Dad of Janice Salter of Toronto, Jeff Salter and his wife Lori of Whitby and Greg Salter and his wife Tracy of Whitby. Cherished Papa to Logan, Keira, Kaiden and Taryn. Dear brother of Mona Sager (late Doug) and George Salter and his wife Shirley. Predeceased by his sister Joyce Alexander (late Walt). Predeceased by his parents Lloyd and Isabelle Salter. John will be fondly remembered by his nieces and nephews and their families. John had a successful 35 year career at Investors Group where he developed many long lasting relationships, mentored many people and had some fantastic trips around the world including Europe, Australia, Indonesia and China. His love for travel and nature combined for his ultimate dream trip in 2007 an African safari with his Daughter Janice. John’s passions included fishing, golfing, skiing, cottaging with his Family and a love of cars. 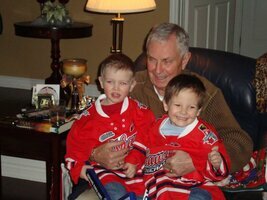 John was a big fan of the Oshawa Generals and could be found in his season seats cheering on his team all season long. He will always be remembered for his wonderful humour and leaves a legacy of hard work, integrity and love for Family. Visitation at Barnes Memorial Funeral Home, 5295 Thickson Rd. N. Whitby on Saturday Feb 2nd from 1:00 p.m. until time of service in the Barnes Chapel Saturday afternoon at 2:00 p.m. In lieu of flowers memorial donations to Lakeridge Health (Cancer Care) would be appreciated. Our heartfelt condolences to the whole family as you pass through this difficult time together. John will be missed. My thoughts and prayers are with the family. John will be truly missed.